Affordable 3D printing. 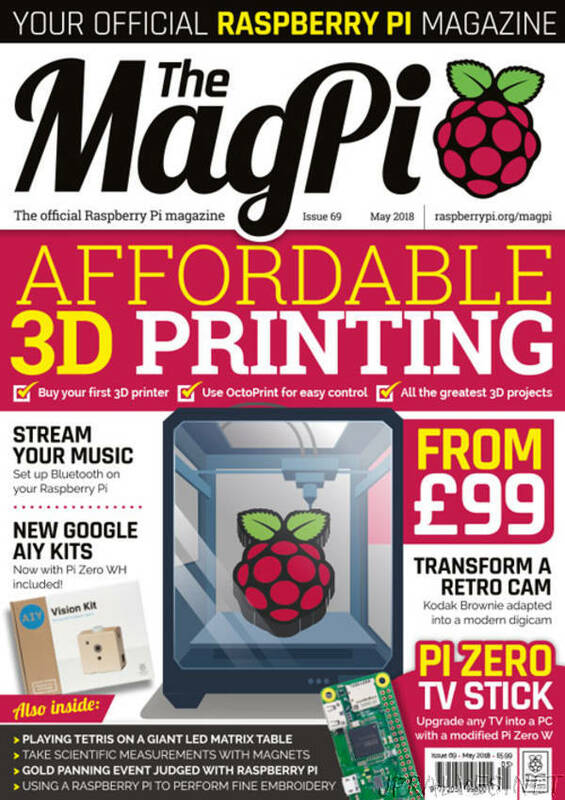 Buy your first 3D printer and use a Raspberry Pi with OctoPrint to control it. Stream your music. Set up Bluetooth on a Raspberry Pi and use it to stream music to your speakers. New Google AIY kits. Discover the latest Voice and Vision kits. Now with Pi Zero WH included! Transform a retro cam. Turn a classic Kodak Brownie camera into a modern digicam using a Camera Module. Make a Pi Zero TV stick. Upgrade any TV into a PC with a modified Pi Zero W device.